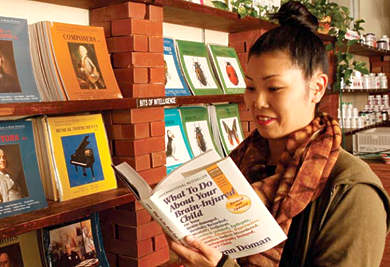 The IAHP Home Study Program consists of reading What To Do About Your Brain-Injured Child by Glenn Doman. The IAHP Home Study Program consists of reading What To Do About Your Brain-Injured Child by Glenn Doman. The parents on the IAHP Home Study Program should read this book very carefully. Parents may wish to read the book several times, so that they are confident that they understand its contents. They may then design a program to use with their child. The program should take into account the needs of the child, the amount of time and energy that the family wishes to devote to the program, and the family’s aspiration for their child. The family then uses the program they have designed to treat their child. The family may then wish to read other books in the Gentle Revolution Series to enhance and expand their physical, intellectual, physiological, or social program.